Email marketing definitely rules the world in promotion and marketing of brands in B2B. According to Chiefmarketer, 87% of B2B companies rely on email marketing as a channel for lead generation, while 31% claim that email campaigns have the greatest effect on their sales. All of the above screams about the value that email marketing can generate for you. Now, let us discuss, how you use emails in your business. On what aspects of this sector will you focus in 2018? 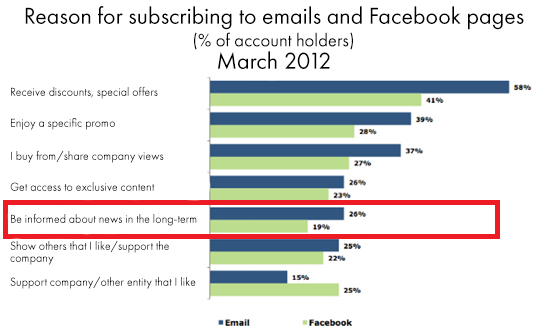 Strongview study has found that during the previous year most companies focussed on one key email marketing goal, namely, how to improve the engagement of subscribers. The better the engagement, the higher the total and individual sales and overall turnover. But how to achieve that? By sending different types of content. If you keep mailing the same kind of correspondence, most probably, engagement will not improve. Think about the emails that you sent during the last 12 months, and remember, how many times the type of content did not change? Did the subscriber engagement improve? Most probably, not. Can your HTML messages really be so diverse if you work in В2В? To answer this question, we created a short guide with 5 sample emails for the B2B target audience. We will begin with emails to those recipients, who are about to enter the sales funnel and will gradually move forward to help you improve engagement and achieve better email marketing results. Are you ready? Let us start! The first impression counts. A lot! Thus, if someone subscribes to something like new blog posts or a series of emails with tips, etc. it is reasonable to say thank you and welcome him/her. If you do not do that, it will be difficult to create the necessary impression in the future. 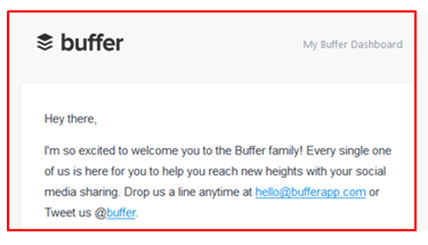 For example, when you download an app for reposting in social media accounts of Buffer, you receive a welcome note with links to the email of the Technical Support Service and Buffer Twitter account. Simple and very effective! How to use: To start building trust with your new subscribers, welcome them as soon as they appear in your database. You can set up automatic welcome messaging or send the notes manually. And now about mailing templates — do not forget to introduce yourself and your company. You can also add links to useful content: popular blog posts, directories, links to the sites of your brand in social media. When to send: every time you get a new subscriber. 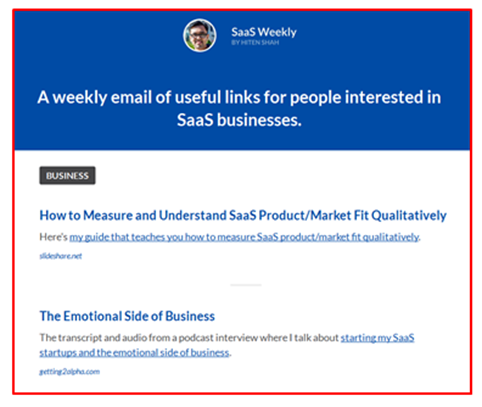 Every week Hiten Shah, the founder of CrazyEgg and Kissmetrics, sends a selection of interesting posts on SaaS (Software as a service), marketing, development, and sales. Hiten rids his subscribers of the need to look for this content online. Thus, he makes their lives easier that significantly increases the value of the respective subscription. How to use: Irrespective of what you do: customer support, social media, banking services or automotive industry, create lists of the best articles that you have read and shared these lists with your subscribers. As a result, you will increase the value of subscription without annoying self-promotion. When to send: Once a week or a month, depending on how often you will be able to create such a list. In the middle of the 19th century, paper boys shouted as loud as they could to inform everyone about the latest news. Nowadays, the promotional practices have changed, unless you have barkers working for you. But breaking news is still as important for many of your readers. According to Chadwick Martin Bailey, 26% of all people, who subscribe to B2B mail, so that as they wish to receive company news. 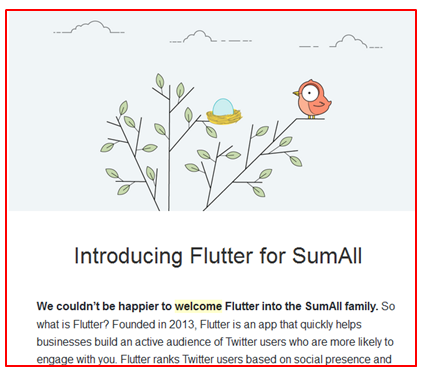 When SumAll bought Flutter (a tool that helps companies increase the number of their subscribers in Twitter), a notification to subscribers was the first thing that they did. Thus, they added value to their product. For potential customers, who have not yet decided, if SumAll is needed for their business, this piece of news, most probably, will serve as an additional argument to choose this product. How to use: If you have news that you are ready to share (like an award, changes in products or pricing policies), tell about that to your e-subscribers. You can either provide this information in the respective email or offer a link to a website or a landing. When to send: Every time you have news that you can share. 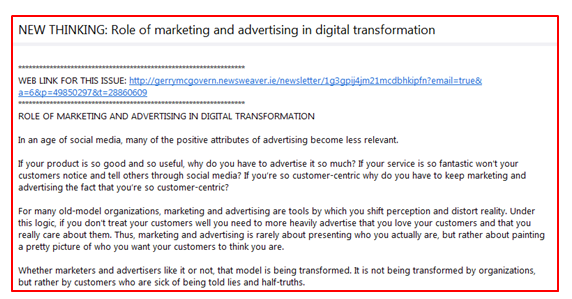 Gerry McGovern has been distributing his new articles in a series of emails called “New Thinking” for a while. Please note: in this case customers are able to read the article without opening any sites. The entire article is available in the respective email. How to use: You can send your subscribers new articles from your site or blog. You can choose, how to do that: copy-paste the entire text into the email, as the author has chosen to do in this case, or inform about the article and offer a link to the respective site. When to send: Every time you publish a new post on your blog or an article on your site. If you’ve got a message from Brian Dean, the founder of Backlinko, most probably, it will have video content. 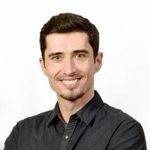 Brian packs valuable content in video clips not only to deliver value to his subscribers but also to make it a habit of seeing and hearing him on regular basis. This creates a deeper link with the audience than just reading something online. The person, who watches the video, starts to believe that he/she knows the real Brian. 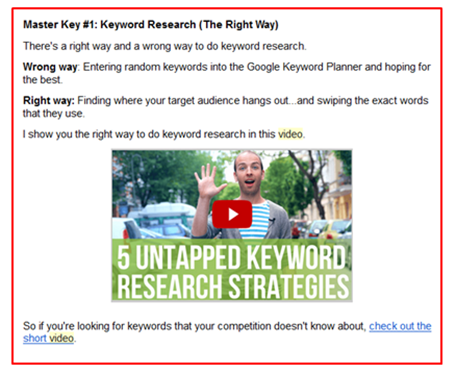 How to use: Take the piece of content that was most popular among your target group and make a video version of it. This video should contain several useful tips. For this, you do not have to hire a professional recording team or use special effects. But you do have to appear on the screen. When to send: Once per month. This is a very good opportunity to take your interaction with subscribers to the next level. Cannot wait for a new article? Check our blog for Top 7 Tips to Fuel Subscribers to Your E-mail Lists with a Landing Page. thanks for giving information about email marketing…. Great article. absolutely loved it. Taking notes of the article to help me in the future.